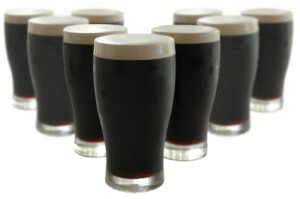 Just in time for St Patrick’s day, John Palmer is back as my guest and we go into depth on the Irish Stout beer style. Irish Stout is a favorite of mine, so I pulled in the co-author of “Brewing Classic Styles” to talk about this famous beer from Dublin. John Palmer makes his second visit to the show as my guest. John is the author of “How to Brew” at HowToBrew.com, the co-author of “Brewing Classic Styles” and the co-host of Brew Strong on the Brewing Network. We talk about the basic grain bill for an Irish Stout. Stout Roast is a key ingredient – which is actually one of the only dark malts made from unmalted barley. We talk about how to pasteurize a bit of soured mash to give your beer a bit of zing. For further reading, I have a detailed articles on Brewing an Irish Stout and Soured Beer if you want to learn more. Thanks again to John Palmer for agreeing to do the interview!